I'm excited for these new Primal Age figures. Though, I do hope they fixed the QC issues. Aggretsuko is all kinds of win. Aggretsuko and Batman are coming home with me! Hope Primal Age gets some new IPs, they have to do '80s action movie characters. I was thinking how awesome a Primal Age Robocop figure would be though, let's see that next! Next wave a monstrous Streaky and Supergirl? looks great. I gave my son all the figures in the first wave for Christmas (much to my wife's annoyance). There were 3-4 days where he was obsessed with them, but now they sit in the box. Still not stopping me from getting the rest. That Black Manta looks exactly how I wanted him to look in this line: like a retro deep sea diver complete with screw divots lining the edges of his helmet and eye lenses. 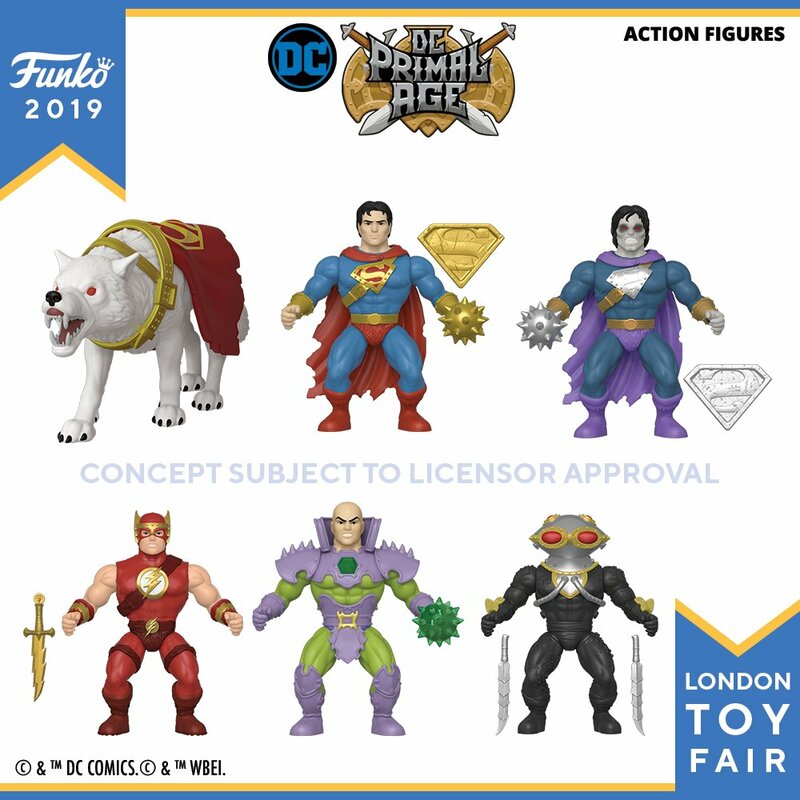 Can't wait to get him as my first DC Primal Age figure. Last edited by ronriii; 01-21-2019 at 07:36 PM.. I also hope the QC issues with Primal Age are resolved. I had to return 4 of them, and I'm scared to touch at least 4 others. Really sucked all of the excitement out of the line. Pre-ordered all of these...hope it doesn't bite me again.